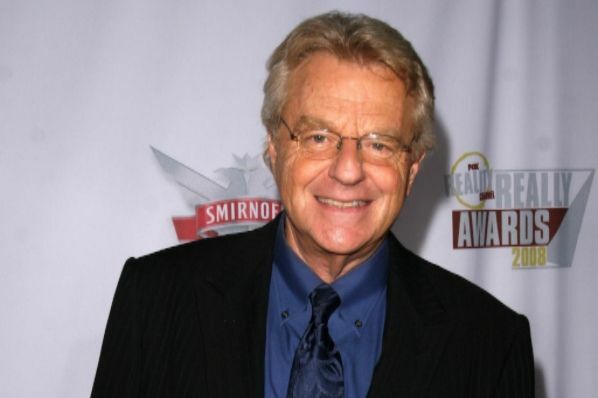 Jerry Springer put aside his tv show microphone on Labor Day yesterday to take up the $15 minimum wage banner. He’s pushing for policies and ideas that would hurt vulnerable workers – like some of his viewers. Springer reportedly led a march and rally in Cleveland, OH to support union efforts and those demanding that corporations raise their lowest wages. This was just one of many protests across the country as unions and outside groups push states and municipalities to adopt $15 minimum wage. It's rumored that Springer is considering a(nother) run to be governor of Ohio. However, Spring is latching his wagon to two shaky wagons for support: The Fight for $15 and unions. The Fight for $15 campaign has managed to push for higher minimum wage increases in a number of states and municipalities, but they have yet to address the impacts on workers who get fewer hours of work, smaller paychecks, lose their job, or who never get a chance at a job. In the longer term, minimum wage hikes are nudging employers to automate low-wage jobs – meaning those minimum wage jobs will become extinct. Springer may think this is back in the 1980s when he was still an elected official and unions were much stronger. Unions have been bleeding support -falling from over a third of the private sector workers to about 10 percent today. That’s not just a loss of foot soldiers to protest, but political influence and revenue. Nearly 30 states have passed right-to-work laws that shield workers from being forced to join or pay unions even when it is not in their best interest to do so – further eroding the power of these unions. Springer is no stranger to politics. Although a generation of younger voters only know Springer for his raunchy and raucous TV program, others may remember that he was also a politician who resigned from his city council position after scandal revealed he paid for a prostitute. However, times changce and pushing policies that will lead to harsh unintended consequences for vulnerable workers is a program no American wants to watch.